Next morning we left Zhouzhuang & drove to Shanghai. About 2 hours later we checked in at the 4* Vivasha hotel. Unfortunately our Shanghai office had booked us into this sport/resort hotel which was not suitable for us and was also far away from the downtown. We decided to move to the 4* Holiday Inn Downtown and spent the rest of day walking in the Nanjing Road shopping district. 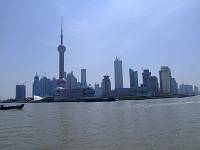 Next morning we began our Shanghai tour at the most famous landscape of Shanghai, The Bund. 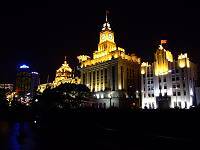 This embankment by the Huangpu River has superb views across to the skyscapers of Pudong and Oriental Pearl TV tower and of course the stretch of European style classical & art deco buildings running along the main thoroughfare. 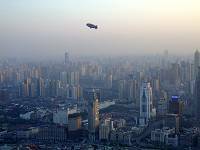 It is the contrast between the old Shanghai and the new Shanghai which is so striking. In Shanghai Old Town we visited the Yuyuan Garden. 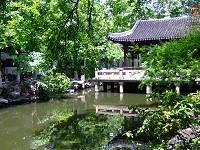 This beautiful old garden of rocks, ponds, bridges, pavilions, circular doors and Ming dynasty architecture is a stunning calm & tranquil oasis in the centre of Shanghai. Like all old grand Chinese houses the garden and house are closely interconnected. The garden is part of the house, the house part of the garden, and both form a secluded and private world away from the outside. Leaving the beauty and peace of the Yuyuan Garden we came out into the lively bazaar of souvenir shops, stalls & restaurants in the re-built old town. Shopping is fun & good for all types of clothing and gifts, as well as Chinese medicines etc. 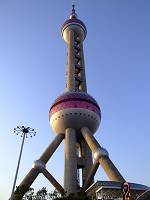 After our lunch we visited the Shanghai Museum in Renmin Square & then the Oriental Pearl Tower. The circular viewing platform offers wonderful views of the whole Shanghai harbour, especially as dusk falls and the city's neon lights are lit. 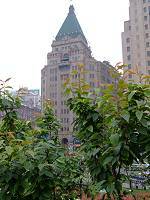 Next day was our hotel inspection day in Shanghai. We visited the 4-5* Sofitel Hyland, the 5* Hua Ting & Shangri-la hotels. 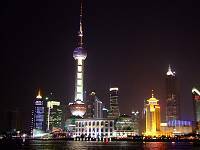 All these hotels including the 4* Holiday Inn Downtown will be used for our tours in Shanghai. We Left China next morning to return to the UK. We enjoyed our trip very much. The memory of The Great Wall & Forbidden City in Beijing, the Terracotta Army in Xian, the beautiful gardens of Suzhou, the unique & classic water city of Zhouzhuang & the old & new city of Shanghai still lingers happily in my mind. I also saw the new China full of excitement & forward motion. The people seem happy & enterprising. The hundreds & thousands of bicycles on the roads have now been replaced by modern & expensive cars. The local Chinese were fascinated to look at me because it was clear to them that I am a foreign Chinese from abroad. I was happily practising my Mandarin again in China.